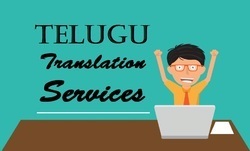 We are the leading service provider of Translation Services to our valuable clients. 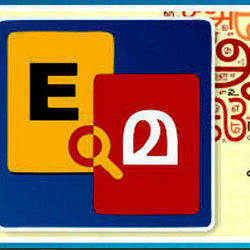 In order to cater the client’s needs, we are offering a wide array of Russian Language Translation Services. These services are rendered under the direction of experts. Offered services are highly credited for their promptness, high client satisfaction, cost-effectiveness, and reliability. 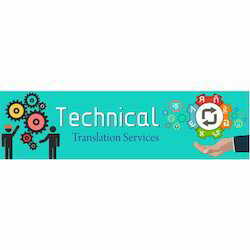 Years of experience in this domain, we are engaged in rendering our customers with the premium quality of Technical Translation Service. our professionals ensure that no information is disclosed. 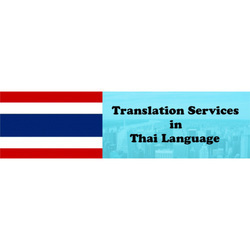 In order to cater the client’s needs, we are offering a wide array of Asian Language Translation Service. These services are rendered under the direction of experts. Offered services are highly credited for their promptness, high client satisfaction, cost-effectiveness, and reliability. 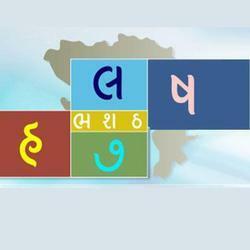 Gujarati is an Indo-Aryan language native to the Indian state of Gujarat. It is part of the greater Indo-European language family. Gujarati is descended from Old Gujarati (circa 1100–1500 AD). In India, it is the official language in the state of Gujarat, as well as an official language in the union territories of Daman and Diu and Dadra and Nagar Haveli. Gujarati is the language of the Gujjars, who had ruled Rajputana and Punjab. 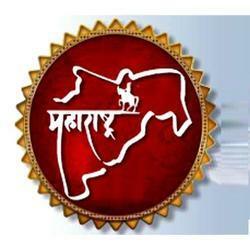 Marathi is an Indo-Aryan language spoken predominantly by the Marathi people of Maharashtra. It is the official language and co-official language in the Maharashtra and Goa states of Western India, respectively, and is one of the 22 scheduled languages of India. Tamil is a Dravidian language predominantly spoken by the Tamil people of India and Sri Lanka, and also by the Tamil diaspora, Sri Lankan Moors, Burghers and Chindians. Tamil is an official language of two countries, Singapore and Sri Lanka. It has official status in the Indian state of Tamil Nadu and the Indian Union Territory of Puducherry. It is also used as one of the languages of education in Malaysia, along with English, Malay and Mandarin. In India, outside of Tamil Nadu and Puducherry, Tamil is also spoken in the states of Kerala and Andaman and Nicobar Islands as a secondary language, and by minorities in Karnataka and Andhra Pradesh. It is one of the 22 scheduled languages of India. It was declared as a classical language by the Government of India in 2004. Kannada known as Canarese or Kanarese is a Dravidian language spoken predominantly by Kannada people in South India, mainly in the state of Karnataka, and by linguistic minorities in the states of Andhra Pradesh, Telangana, Tamil Nadu, Maharashtra, Kerala, and Goa. The language has roughly 40 million native speakers who are called Kannadigas (Kannaigaru), and a total of 50.8 million speakers according to a 2001 census. It is one of the scheduled languages of India and the official and administrative language of the state of Karnataka. 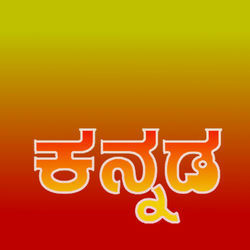 The Kannada language is written using the Kannada script, which evolved from the 5th-century Kadamba script. 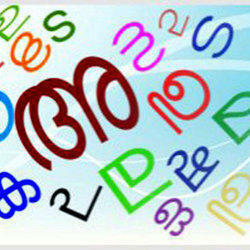 Malayalam is a language spoken in India, predominantly in the state of Kerala. It is one of the 22 scheduled languages of India and was designated a Classical Language in India in 2013. It was developed to the current form by the poet Thunchaththu Ezhuthachan in the 16th century. Malayalam has official language status in the state of Kerala and in the union territories of Lakshadweep and Puducherry. It belongs to the Dravidian family of languages and is spoken by some 38 million people. Punjabi is an Indo-Aryan language spoken by over 100 million native speakers worldwide, making it the 10th most widely spoken language (2015) in the world. 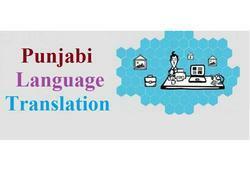 It is the native language of the Punjabi people who inhabit the historical Punjab region of Pakistan and India. It is the only living language among the Indo-European languages which is a fully tonal language. Punjabi is the most widely spoken language in Pakistan, the seventh-most widely spoken in India, and the third-most spoken native language in the Indian Subcontinent. Punjabi is the fourth-most spoken language in the United Kingdom and third-most spoken native language (after English and French) in Canada. Telugu is a Dravidian language native to India. It stands alongside Hindi, English, and Bengali as one of the few languages with official status in more than one Indian state; it is the primary language in the states of Andhra Pradesh, Telangana, and in the town of Yanam, Puducherry. It is also spoken by significant minorities in the Andaman and Nicobar Islands, Chhattisgarh, Karnataka, Maharashtra, Odisha, Tamil Nadu, and Puducherry, and by the Sri Lankan Gypsy people. It is one of six languages designated a classical language of India by the Government of India. Odia both renderings of About this sound o¿¿¿i¿¿ (help·info), is an Indo-Aryan language that is mostly spoken in eastern India, with around 40 million native speakers as of the year 2016 from the state of Odisha, adjoining regions of its neighboring states and by the largely migrated Odia population across India. It is the predominant language of the Indian state of Odisha, where native speakers make up 80% of the population,and it is spoken in parts of West Bengal, Jharkhand, Chhattisgarh and Andhra Pradesh. Odia is one of the many official languages of India; it is the official language of Odisha and the second official language of Jharkhand. Assamese, Asamiya, Axomiya or Oxomiya is an Eastern Indo-Aryan language spoken mainly in the state of Assam, where it is an official language. The easternmost of the Indo-Aryan languages, it is spoken by over 13 million native speakers, and serves as a lingua franca in the region. It is also spoken in parts of Arunachal Pradesh and other northeast Indian states. Nagamese, an Assamese-based Creole language is widely used in Nagaland and parts of Assam. Nefamese is an Assamese-based pidgin used in Arunachal Pradesh. Small pockets of Assamese speakers can be found in Bangladesh. In the past, it was the court language of the Ahom kingdom from the 17th century. It was envisioned that Hindi would become the sole working language of the Union Government by 1965 (per directives in Article 344 and Article 351),with state governments being free to function in the language of their own choice. However, widespread resistance to the imposition of Hindi on non-native speakers, especially in South India (such as the those in Tamil Nadu), Maharashtra, Andhra Pradesh and West Bengal, led to the passage of the Official Languages Act of 1963, which provided for the continued use of English indefinitely for all official purposes, although the constitutional directive for the Union Government to encourage the spread of Hindi was retained and has strongly influenced its policies. Translate from English to Chinese Traditional Mandarin (Taiwan) English to Chinese Traditional Mandarin (Taiwan) is one of the most common language pairs in the world, and that means volume. The One Hour Translation API makes large volumes of text in need of translation easy to manage. 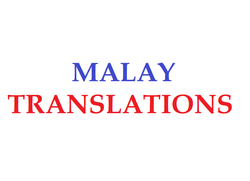 Malay or ‘Bahasa Malaysia’ is not considered to be a complex language from a localization standpoint. As with Indonesian, Malay also uses the Latin alphabet so is compatible throughout virtually all programs and platforms. Apart from ensuring that vocabulary is appropriate to the writer, subject and target audience, and provided that professional Malay translators with the right level of subject-matter expertise are assigned to projects, Malay localization does not usually throw up much of a challenge. German is a difficult language which might boggle your mind and confuse you to the end. However, in today’s world when globalization is one of the hyped achievements, you simple cannot ignore Germany. This is because, Germany is a growing power which any business owner would want to get associated with. Yet, knowing the language is a must as most of the German citizens speaks only their mother tongue. 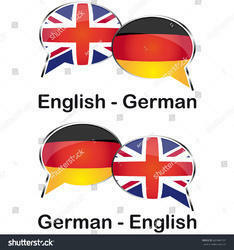 You need to know how to read or write German as well. This will help you settle the business faster. However, the question here is – do you have the time to learn German? Can you invest that much time tutoring yourself a language? When the business deal is waiting and the conference is just a few days away, would you be able to learn a language in-depth? Well, the answer is negative. It is not possible at all to learn German in such a short notice. However, lack of language proficiency should not become a problem in the business deals which you are about to make. Here comes the need to hire a professional language expert. Many would say this is an additional expenditure. However, this is not true. The need to have an expert by your side is important. What would you look for when hiring a language expert who can efficiently translate your documents? Yes, qualification is the first thing which you should opt for when you are hiring a translator. Language proficiency is a must and without the right qualification you should never hire someone to work with you as a language expert. This is the reason, we at Lingo Solutions hire people based on their academic results only. Additionally, we also look for people with experience in German translating service. 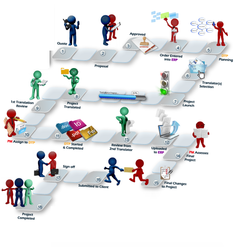 Everyone who works for Lingo Solutions has proper track record and right skill. The best thing which we offer is human translator. If you are puzzled at that, you must know that there are countless companies that offer machine translators. However, language translation shows its depth only when a human being is translating the piece. This is the reason we only put emphasis on human translation and nothing else. 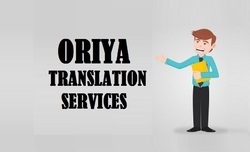 To serve our clients we have created a vast team of efficient translators who has the skill and expertise of providing assistance to complicated language problems. 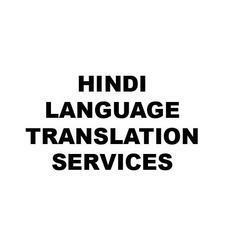 Additionally, they can offer both word by word translation and meaning translation upon request of the clients. When offering language translation it is difficult to ensure quality. 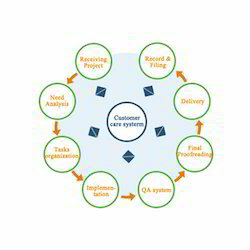 Lingo Solution offers quality checking process. Each work gets passed only after thorough checking. Offering quality is one of the objectives which we always follow. Due to this we never hire people who don’t have the proven track record. This is what we pride ourselves for doing. We offer complete language assistance. 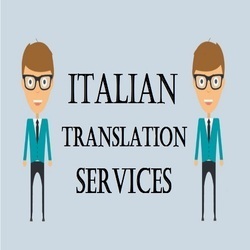 From translation to interpretation we offer all kinds of services. Conference interpretation is another service we offer. So, if you have a conference with the German company, don’t fret, we can always help you here. Spanish is spoken by over 332 million people world-wide as a first language. Spanish is the official language of 21 countries, including Spain, Argentina, Mexico, Bolivia and Colombia, and is the fourth most popular language on the Internet. Spanish is one of the official languages of the United Nations. 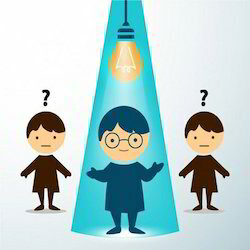 Why to hire a language expert is a question which people wonder because they think that translation can be done using software. However, this is a misconception because, software can never act like human beings. The translators know the complicated issues which might arise during the process of work. Knowledge of terminology is another important aspect of translation. This calls for expert’s attention. You would have to know the right terminology and also know how to use them in proper order. Only a professional translator would be able to offer you this expertise. 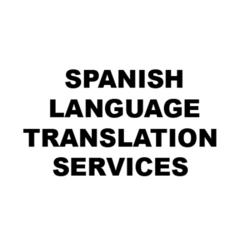 Our expert translators incorporate cultural nuances in translations to make the content relevant for local audiences while retaining the original meaning and style. With linguistic and subject expertise, our translators are equipped to handle all complex and multiple overlapping themes encompassed in a single book to deliver a superior quality output. We only assign translators who are masters in creative writing, understand the publishing process, and possess the cultural sensitivity to ensure that the translated version reflects what the author wanted. 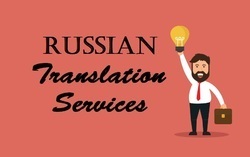 In order to cater the client’s needs, we are offering a wide array of Russian Language Interpretation Services. These services are rendered under the direction of experts. Offered services are highly credited for their promptness, high client satisfaction, cost-effectiveness, and reliability. 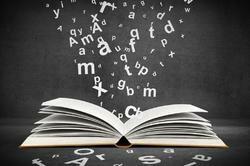 We are experts in translation of technical manuals. We translate technical manuals into over 60 languages and have translated hundreds of technical manuals. We translate manuals and technical documents of all types. 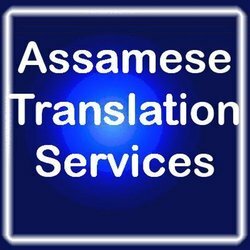 We are instrumental in offering a comprehensive range of Assamese Language Translation. With our team holding expertise in perfectly understanding the various aspects of interpretation including non-technical, technical, and general cases, we are able to famous in this domain. 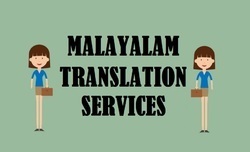 We are instrumental in offering a comprehensive range of Malayalam Translation Service. With our team holding expertise in perfectly understanding the various aspects of interpretation including non-technical, technical, and general cases, we are able to famous in this domain.